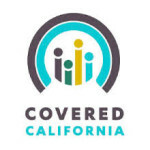 Covered California, has announced plans to collect health insurance data on every patient. Executives say the data is needed in order to hold health insurance companies and medical providers accountable under the Affordable Care Act. State exchange officials plan to use the data to answer questions like how many diabetics are having their chronic condition managed correctly and how many screening tests for cancer led to early diagnosis and treatment. The 1.4 million state residents enrolled in Covered California will not be allowed to opt out of the data collection program. Some health policy experts applaud the move, arguing it could pressure insurers to better serve patients, and it could give the state a bargaining chip in rate negotiations. Privacy advocates, however, are criticizing the plan. Today…06/25, the US Supreme Court upheld the ACA in a 6-3 vote in a decision written by Chief Justice Roberts. He was joined by Associate Justices Kennedy, Ginsburg, Breyer, Sotomayor, and Kagan. The ACA is the law of the land and will remain so. Confidentiality of medical records should be the least of anyone’s worries. Anyone that has a debit card, gives their credit card to a waitress to process unwatched, puchases goods with plastic on the internet or at a gas station, gives their information for a loan, or a verizon account or a credit check or countless other daily activities are entering into a more dangerous identity theft situation than this medical info. We’re hearing about the breaches in the news, and you can bet there are plenty going on unnoticed. Then there are all those facebook comments and pictures out there that are owned by facebook and will be sold and used in the future in the same way that health information might be used. The only thing we have going for us is that there is so much information on so many people that the odds of some hacker ruining your life is quite small. My answer is to always owe more money than you have, so if someone steals your identity you actually come out ahead (joking).